We are publishing a brand new tvOS app for the fourth-generation Apple TV today. 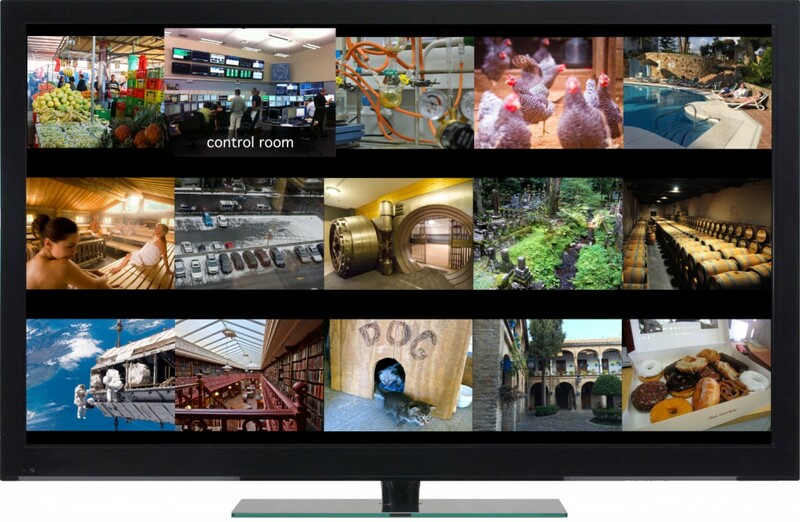 In a nutshell, Webcam HQ lets you aggregate up to 15 internet (IP CCTV) cameras on your TV screen. It uses UPnP for easy discovery and can display any MJPEG stream, which is to say virtually any webcam. The app has its own website, please check it out for more information! Why a webcam app, you will ask, when all the apps we have released so far are barcode scanners? Well, our specialty is video processing and image recognition, not just barcodes, and there are many exciting things that a smart app could do with home security cameras. A few companies are already selling smart cameras and online services to monitor them automatically and view them from anywhere. We would like to give people the flexibility of using the cameras and the equipment they already own, to save money and their privacy. As a start, our new app let you add any kind of internet-connected camera, not just one brand. Please stay tuned for more features soon!